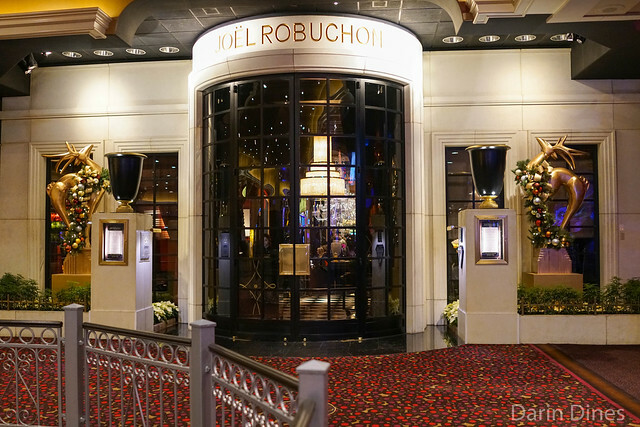 I’ve been to Joel Robuchon in Las Vegas a number of times over the years, but my last visit was all the way back in 2011. I was in Los Vegas for the weekend thanks to a spontaneous trip, and was able to squeeze in a late Friday night reservation here. 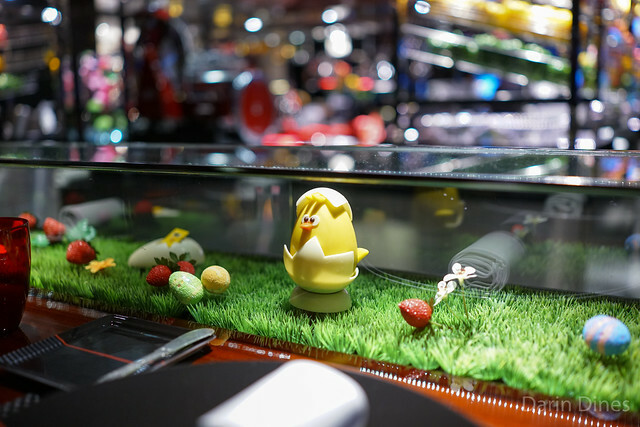 The restaurant still serves an extravagant, marathon degustation tasting menu ($445, 16+ courses) but does offer more abbreviated menus with selections for each course. We went with the third of four tiers available, six courses (plus extras) priced at $198 before supplements. On my most recent trip to Las Vegas, I chose to return to this restaurant for the first meal in town. 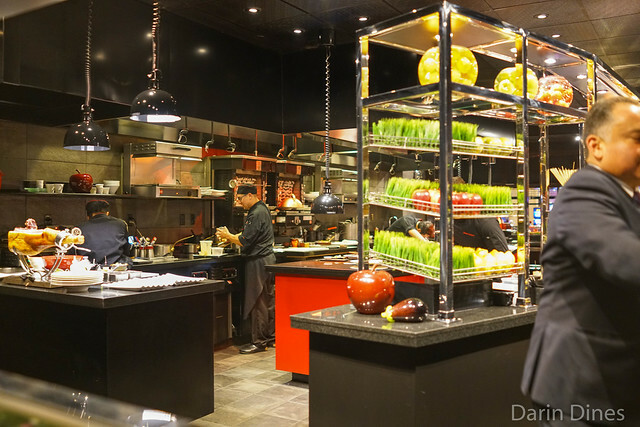 This is Joel Robuchon’s more ‘casual’ concept next door to his eponymous fine dining establishment, which primarily features bar seating around the open kitchen. This was my second time dining here, although I have also dined at the Paris, London, Tokyo, Hong Kong, and Taipei locations. 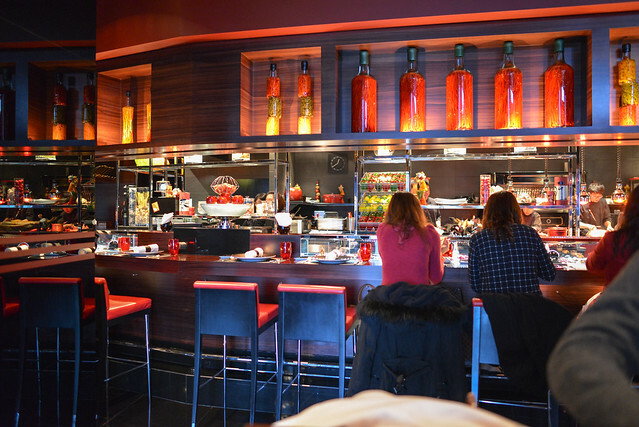 A few menu options are available, including 5-course and 6-course prix fixe menu options. A ‘seasonal discovery’ tasting menu is also available, 9 courses for $195. That’s the menu we opted for this evening. 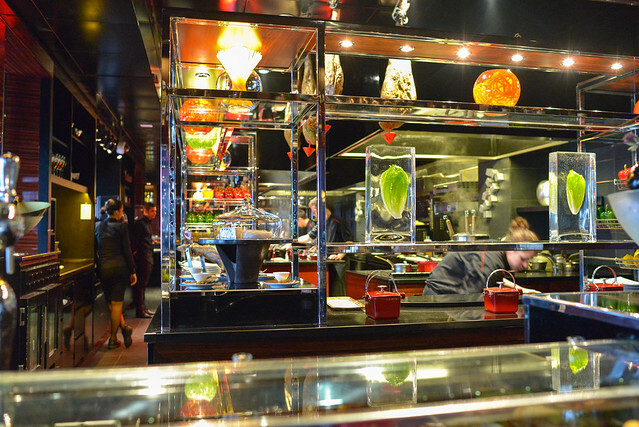 I’ve enjoyed dining at Joel Robuchon’s various locations around the world and was happy to make a lunch stop here. Hong Kong’s version of L’Atelier is rated three Michelin stars, the only restaurant in the chain to hold this distinction. 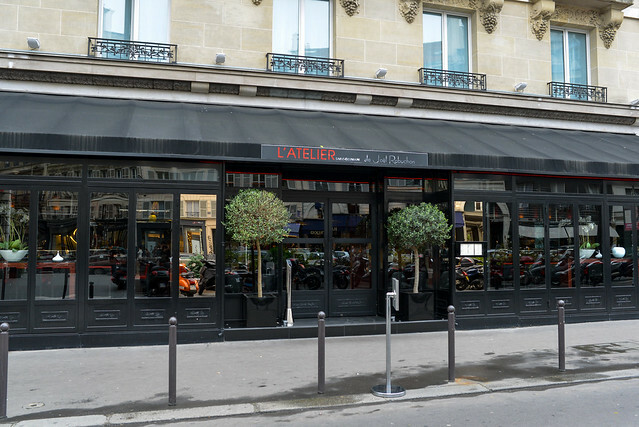 This restaurant is actually split into two parts – the signature wraparound bar surrounding the kitchen (L’Atelier) and a more formal dining room with tables (Le Jardin). Same menu, same kitchen, just a different type of atmosphere. We dined at the bar for a view of the action. Lunch is composed of a 3-5 course prix fixe; between my parents and I ordering the 5-course ($858 HKD), we were able to try quite a bit of the menu. 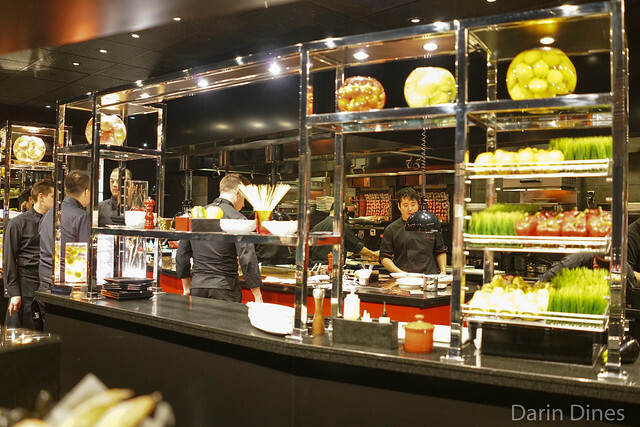 While spending a couple of days in Macau, my parents and I decided to stop by three Michelin-starred Robuchon au Dome at the Grand Lisboa Hotel for lunch. 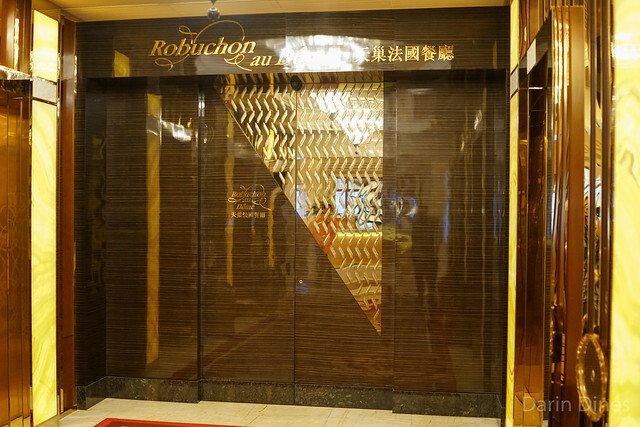 The Robuchon name was certainly a draw, but so was the opportunity to dine in the dome atop the hotel, which happens to be the tallest building in Macau. 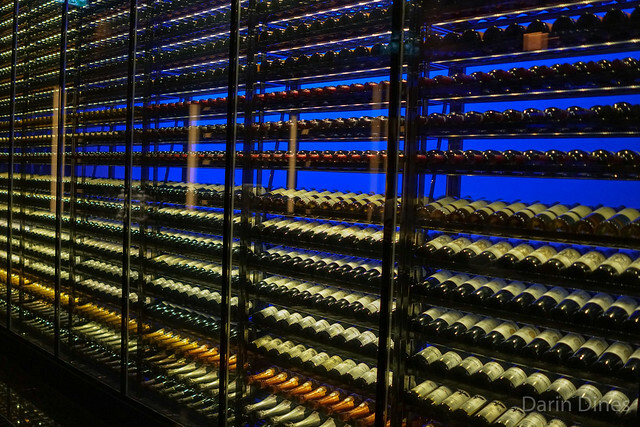 Much of the restaurant’s 14,000+ bottle wine list is on display at the entrance in a hallway of wines, before taking an elevator up to the dome and restaurant. 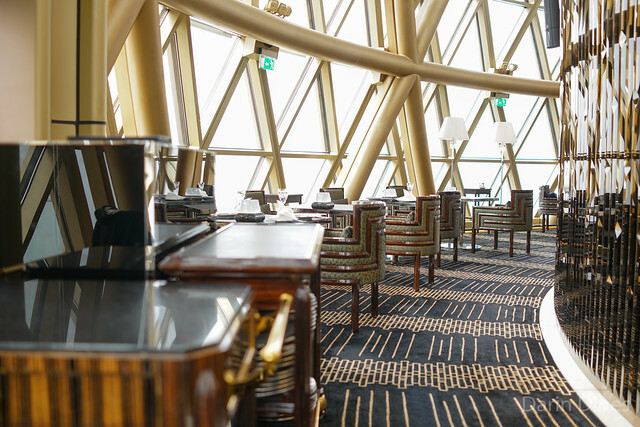 The elevator opened up to a piano and grand chandelier, surrounded by seating with 360 degree views of Macau. 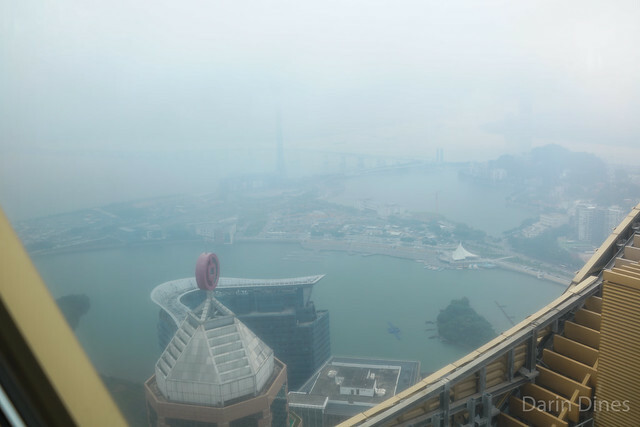 Given some really dense fog on this day though, the view wasn’t quite as spectacular as expected. 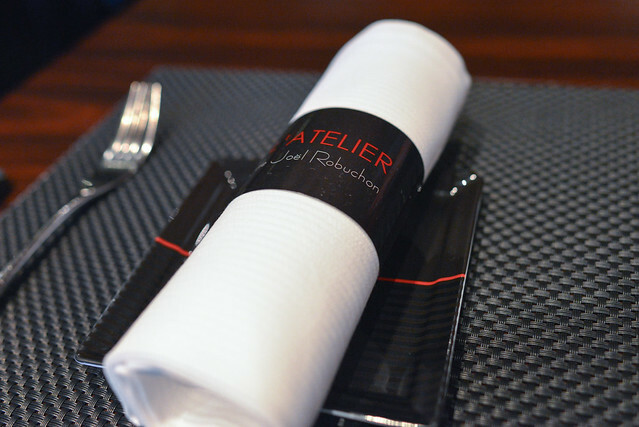 This Paris Saint-Germain location was the first of Joel Robuchon’s l’Atelier concepts, which is now a worldwide chain. 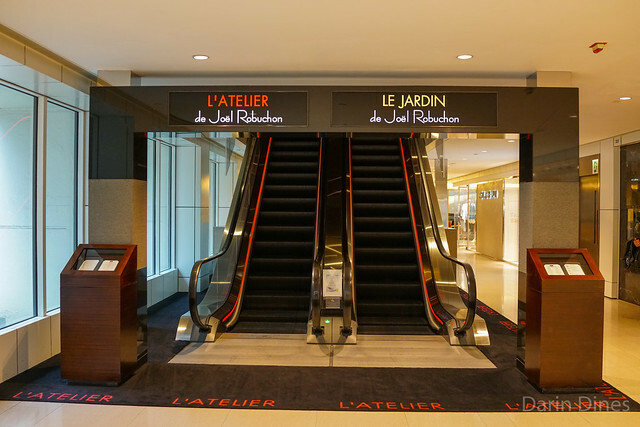 Holding two Michelin stars and ranked #31 in the latest world’s best restaurant list (and as high as #12 in 2012), it’s oft-regarded as the best of Robuchon’s l’Atelier restaurants. In my first trip to Europe seven years ago, this restaurant was easily the best (and by far most expensive) meal I had. It’s still one of the more memorable dining experiences I’ve had and I wanted to return once more to see if the restaurant was as good as I remembered. There are no lunch specials at this location, just a la carte and a €179 discovery tasting menu. A la carte starters and mains price in the €40-€80 range each so I figured the 10-course tasting menu was the way to go. 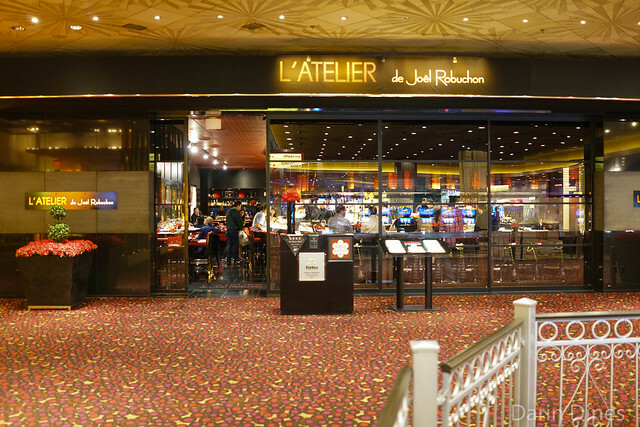 I’m not sure how it really originated, but I’ve made it a point to dine at Joel Robuchon’s L’Atelier wherever there is one where I’ve traveled. My first visit was to the original Paris location seven years ago now (a restaurant that has maintained a top 25 spot in the highly-subjective Pellegrino Best Restaurants in the World list all these years), and have visited locations in Las Vegas, London, Tokyo and now Taipei. 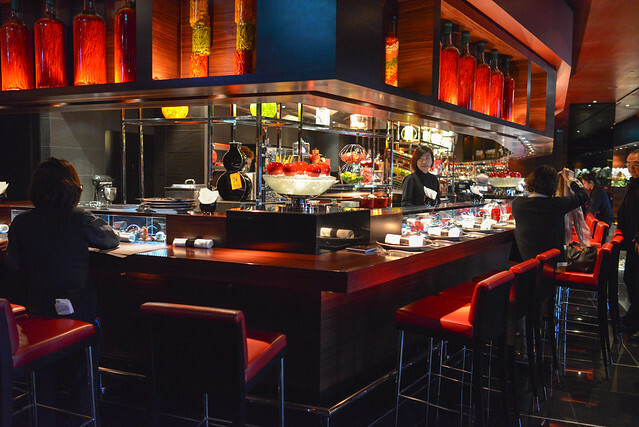 The decor at this location, located in the upscale Bellavita mall, is very similar to the others – red and black color-scheme and an open kitchen surrounded by bar seats. 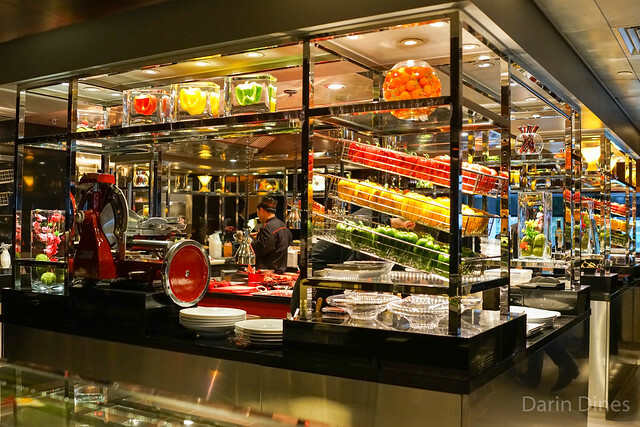 We dropped in for a leisurely weekend lunch; fixed menu options range from 1260NTD/~42USD up to 2880NTD/~96USD. We each ordered different menus and I went somewhere in the middle.